There may be only a few things scarier in life than being involved in an accident. Whether it’s a fender bender or a fatal accident, your body experiences serious shock. Your body and mind require time to recover from the shock. It is not easy to grow over an accident that you have been involved in, but you can focus on your recovery. 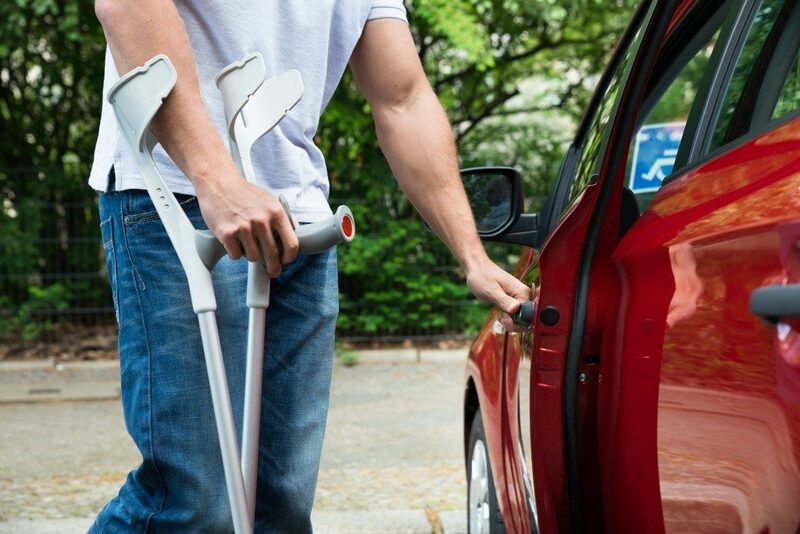 An accident victim may need the assistance of mobility aids like arms slings to facilitate their movement. Other medical aids such as clutches and wheelchairs provide support to fractured limbs. For instance, clutches allow a patient to move around from one place to another reducing their dependence. No one wants to be escorted everywhere they go. Gaining some degree of independence is an essential psychological factor that may improve your recovery. In other circumstances, cold therapy is used by doctors in the recovery process to regain mobility. It is aimed at relaxing your muscles and stimulating blood flow in your body, increasing the range of motion. There are situations wherein people do not get any injury symptoms immediately after an accident. It is imperative for the patients to have their physical health checked to prevent long-term complications. Physical therapy is also important during the recovery process. It helps the accident victims to increase their strength and improve their flexibility. Physical therapy is critical because the patients recover from their injuries faster than if they just stay in bed the entire period. Another primary benefit of physical therapy is that it prevents the patients from getting any complications, especially after an accident. If you start your physiotherapy immediately after an accident, you are more likely to live a pain-free life. In fact, people who do not get physiotherapy right after an accident are prone to degenerative disc disease. Most patients suffer from degenerative disc disease despite making a full recovery from their injuries due to a lack of sufficient physiotherapy care. There are some clinics whose sole purpose is the management of chronic pain in patients after an accident. These clinics are important, especially when you are trying to recover from an injury. They specialise in physical, behavioural, and psychological therapies. After an accident, most people suffer physical pain, and there are situations where the patient is under a lot of pain, especially during the recovery process. These clinics create individualised programs to ensure that the patients can address their pain points. For instance, if someone has broken bones caused by an accident, the first treatment option is the reduction of pain. When the pain is reduced, the patient regains mobility function, which edges them closer to making a complete recovery. Following an accident, it is inadvisable to rush your recovery because it is likely to hinder your shot at a full recovery. The key is to take the recovery process slowly and listen to the advice of your doctors. When you take things slowly, you are less likely to make any emotional choices that might compromise your health.